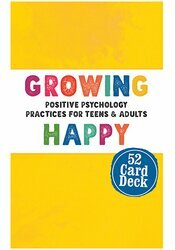 Teaching and incorporating positive psychology into your home, classroom and therapy session is easy with the Growing Happy card deck. Grounded in the modern scientific findings of positive psychology, the card deck features 50 unique positive practice that will leave you feeling happier, present and resilient. Perfect for teens and adults.